This one involved created an insult from everybody's favorite abusive television chef, Gordon Ramsay, by picking a value from three columns. First, you take your month of birth and match it up with an aggressive statement. So let's say you were born in November, your statement would be "Get a Grip!". Then take the first letter of your first name and do the same. If your name is Sam, then the next part would be "You Proud". And finally, take the first letter of your last name and find the associated value in the third column. If your last name is Quixote, the final part would be "Gremlin!" Put together, our insult for Sam Quixote, born in November, would be "Get a Grip! You Proud Gremlin!". This article outlines that whole process and highlights some of the concurrency features of golang. If you're interested in a compelling alternative to the callbacks and promises of JS, read on! Name your bot and add it to slack. I've called ours Gordon. In "Integration Settings", record the API Token. Now we can get to the actual code! This client library interacts with Slack's Real Time Message API (RTM) (https://api.slack.com/rtm). It's a very neat API that's WebSocket-based, so we'll receive events from slack's backend as soon as they occur. Let's start the library and make sure we can see events flowing. This little gem will also handle reconnecting if your connection fails for some reason. We can then receive events from the rtm object's IncomingEvents channel. For now, we're just going to print out the Type field of any events we're receiving. So go attempts to hide more complex ideas like semaphores and memory fences, leaving you free to focus on events flowing through channels to loops receiving messages. Back to our favorite chef-bot! Running this should now briefly spam your terminal. Note that I've removed sensitive information and replaced it with REDACTED. Alrighty! 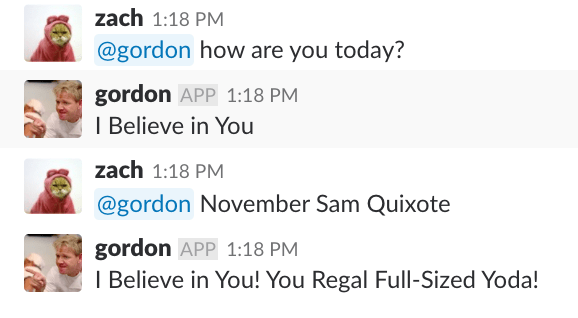 So we've got a realtime connection to Slack's bot API and we can start doing interesting things. What's this doing? We check all incoming message events for when our bot is tagged with "@", and then we send a message to the same channel where that message came from. The empty default case there will allow our channel to receive the message and ignore all other event types sent on the channel without blocking. So we'll take our message and split it into its component parts, sending a message if the user doesn't send a message with enough parts to it. Then we have a few very simple lookup tables (simplified for brevity) that we can search through to create a personalized insult, courtesy of our abusive friend Gordon Ramsay. 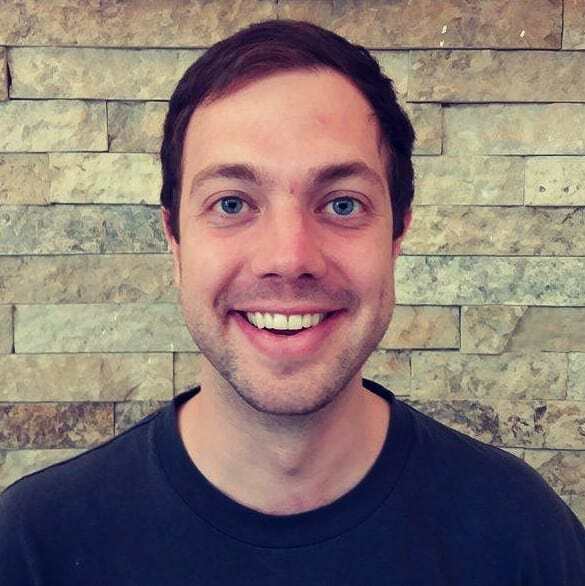 You can find a cleaned up version of this code at https://github.com/zachgoldstein/gordonBot. There's a whole slew of things to do before this would be ready for production, but a few of them are in place in this code. I've added a few tests for the guts of this, and instead of hard-coding your API-key you can pass it in via a command line flag. If you'd like to see how what that looks like, definitely check it out.